Zedge is the largest mobile content discovery platform used by more than 42 million unique users per month, across web, mobile and Android.Zedge is most of all known for quality and diversity of content supporting virtually every device on the market today. Its users actively download, produce and disseminate original content like wallpapers, themes, ringtones, texts, games, and soon, apps. This vibrant community has created one of the largest libraries of free mobile content anywhere. Free downloads of themes, wallpapers, ringtones, screensavers, software, games, videos and logos. With 100,000 MP3 ringtones, it’s a wide collection. A free signup entails you to download without a 10 second wait. As in any web community, members can have their own profile pages, can comment and share. You can check the compatibility of your model in the Phone section of the site though a cross-section of makes are supported including the iPhone. 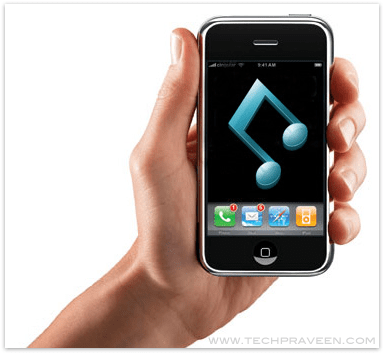 Are you looking for a website that lets you create free ringtones online? Do you need a site that allows you to download free ringtones to your computer? Look no further. Melofania offers you all this and MORE! Just upload your favorite music files to our servers and use our on-site platform to rip your ringtone directly from your sound file. From there, you can save the ringtone you created in mp3 and m4r formats, so they can be used on your Android, iPhone , Windows Phone 7, Bada or any other smartphone gadget you may have! After you create ringtone, simply download it from Melofania.com directly to your computer. It’s easy. It’s fast. And most importantly of all – it’s free! Tonesall is a Ringtone sharing network that allows users to share and download Ringtones for mobile phones. We have a large and growing collection of free ringtones on this site spanning many categories.Anyone can upload Ringtones and our voting system ensures that only geniune ringtones are featured on the website. All newly submitted ringtones are added to New Ringtonessections and our users vote them to Voted Ringtones section. If you like a Ringtone, vote for it. Just click on the Vote button once and you are done. It takes less than half a second and contributes more than anything else to this site. MOBANGO is the first Universal Mobile Community that allows cell phone users to publish, convert, and share with friends all kinds of user generated content -via the web and mobile devices- for personalizing and empowering the new cell phone’s generation. With MOBANGO, you have immediate access to thousands of personal files provided by MOBANGO users, across the World. You can publish, convert, and share Personal Content of all types for your cell phone – Videos, Photos, Ringtones, Applications, Games. This is amazing I’d love to try these ringtone sites and I hope to get great tunes for my phone.